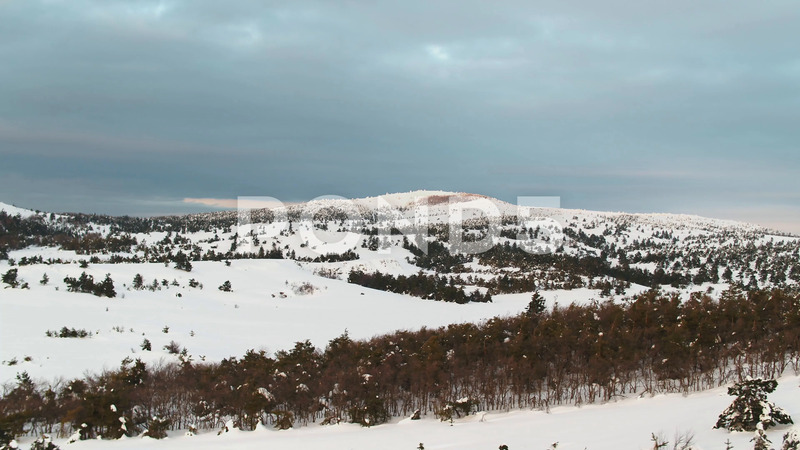 Description: Aerial from the top of snowy mountain pines in the middle of the winter. Shot. Rich winter spirit.